How to Invert Text in Microsoft Word 2013? This article will explain how to invert a text in word document in Microsoft Word 2013. Note that the inverted text cannot generally be typed in a document but Microsoft Word provides a special pasting function to insert an Inverted Text. 1. Launch Microsoft Word 2013 and open the document where you want to insert the inverted text. 2. Select and copy the text that you want to invert. 3. 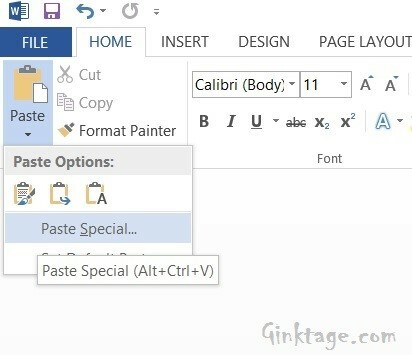 Position your cursor when the inverted text has to enter and then click paste -> Paste Special option. 4. 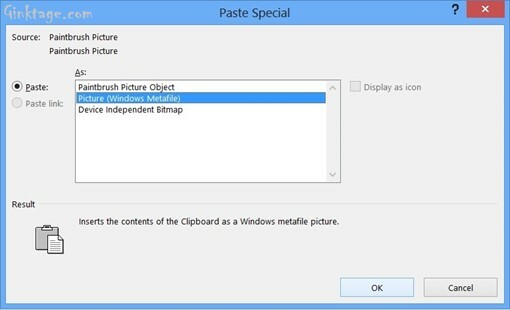 In the Paste Special Popup Dialog, select “Picture (Windows Metafile)” and then click OK. This will insert the text as image. 5. Select the Image and the click the “Format” tab. In the Rotate dropdown menu, select “Flip Vertical” button. 6. You should now see the inverted text inserted in your word document.